Not long after my baby was born, my husband and I decided to build a cabin in upstate New York. We live in Brooklyn and felt that baby really needed to have a space in nature to call her own. Our cabin was completed about a month and half ago and I’ve been working my fingers to the bone making curtains, pillows, art, refinishing and painting furniture and decorating the cabin. For baby’s room I decided to do a handmade Holly Hobbie theme. 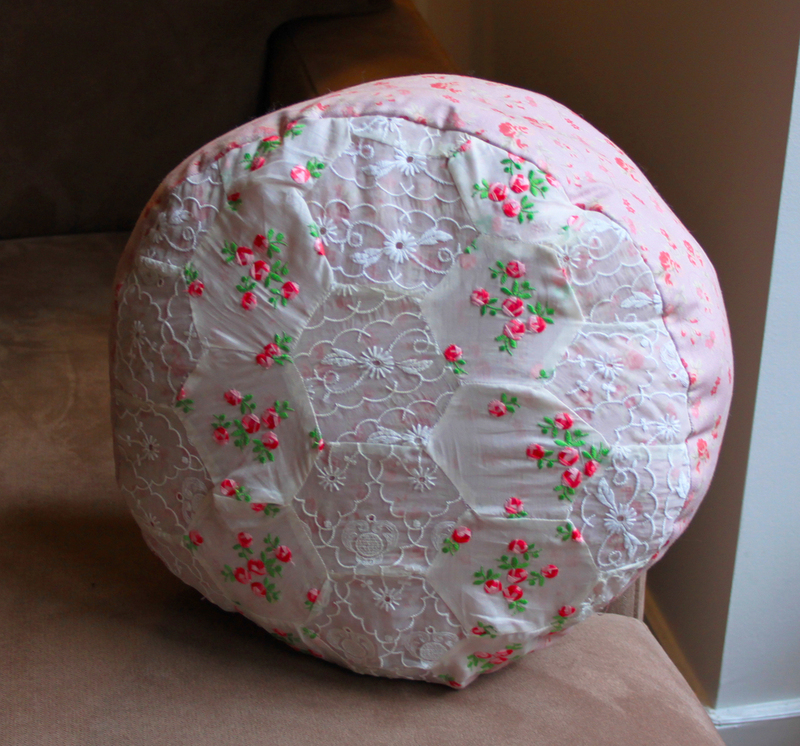 Pictures of the completed room will be coming along with some new tutorials; Here is a quick tutorial on making a round pillow perfect for breast or bottle feeding on a rocking chair. Printed cotton fabric, lace, polyfill stuffing. 1. Cut two round shapes about 16 inches in diameter. 2. Cut one long piece (or two in my case because the piece of fabric I had wasn’t quite long enough) about 5 inches wide and the circumference of your round shape in length. 3. Make a hexagon template out of cardboard. 5. 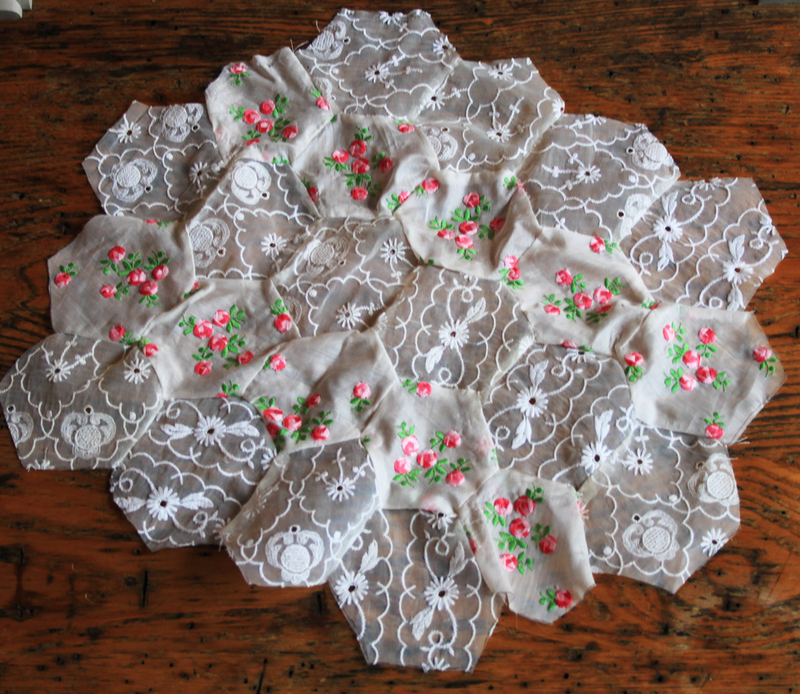 Piece your lace or fabric together and sew them into a shape big enough to cover the top of the pillow. 5. Sew the lace and the top round shape together and then sew the side (rectangular shape) to the top round shape inside out. Sew the bottom round to the side inside out leave about 5 inches open. Turn the pillow right side out. 6. Stuff your pillow through the opening and then hand sew up the opening using a loop stitch.